Move in ready or rental ready, beautiful furnished condo located in Reunion Resort!! 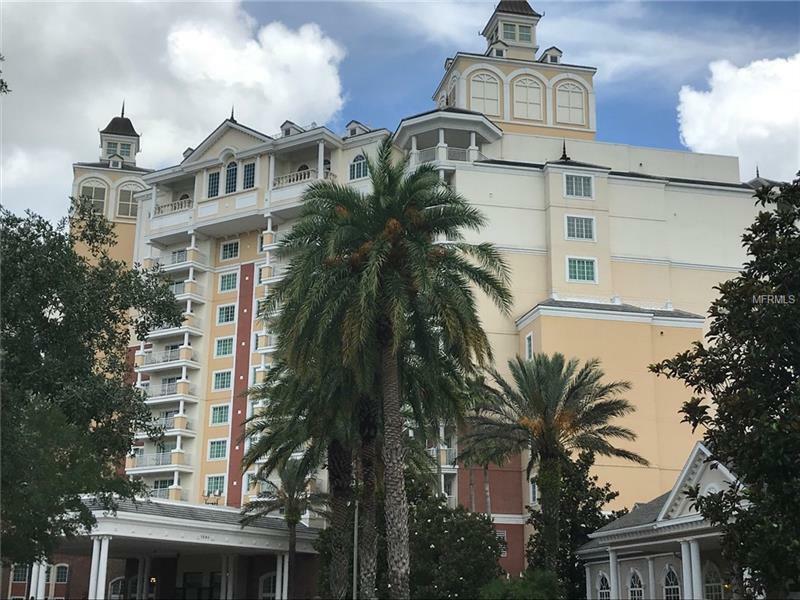 This large and spacious condo overlooks the Reunion Resort driving range and has view of Disney!! Large, corner unit balcony for extra outdoor living!! Granite countertops and stainless steel appliances in the kitchen. Separate double sinks in master bedroom with walk in shower. Guest bedroom has 2 full beds with plenty of closet space. The Reunion Grande building has a roof top pool, the restaurant Eleven, sushi bar, Forte Steakhouse, and valet parking. At night, you can view the Disney fireworks from your balcony or at the viewing area on the 11th floor by the pool. ACTIVE MEMBERSHIP!! !